Thomas Edison’s invention of the incandescent light bulb was ground breaking, to say the least. Not in his wildest dreams, though, could he have imagined the realm of 21st-century lighting. No longer is lighting just a way to illuminate a dark room after sunset. 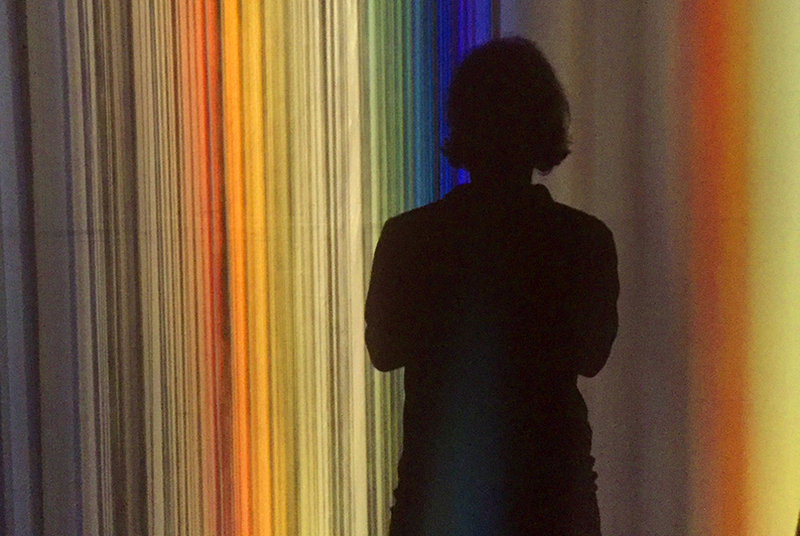 The lighting industry has changed — evolved — into so much more. Incandescent bulbs certainly served their purpose, but solid-state LED (light-emitting diode) lights are much more efficient. They’re smaller, have a longer lifetime and allow for quicker switching. Their tiny bead-like lamps work well in diverse applications such as aviation lighting, advertising, camera flashes, automotive headlamps and traffic signals. Perhaps the most important reason for the shift to LED lighting is the savings in electrical power. 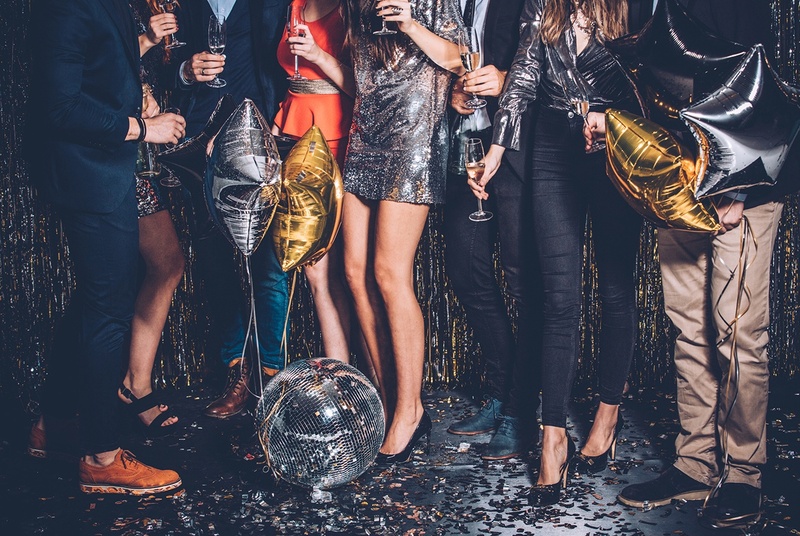 You likely have heard of circadian rhythms — the physical, mental and behavioral changes that generally follow a 24-hour cycle and respond mostly to light and darkness in our environment. Have you been to a live concert recently? Music is only part of the show. The big draw is the elaborate “production” that uses lighting and video to enhance the performance. Synchronized displays of lighting can be used to create art, such as the dancing waters at the Bellagio Hotel in Las Vegas in which sprays of illuminated water “dance” to piped music. Light sculptures, light shows and even holiday displays all use lighting to create dazzling art. The sun is a powerful force, and corralling its energy makes for efficient green lighting. Solar power has myriad possibilities, from street and security lighting to traffic flashers and landscape lighting. All offer environmentally friendly alternatives to standard electrical options. Set up time for installations at many venues is a very short window. Hotels and event spaces they often have two or three events scheduled for the same day in the same space. This leaves very little turnaround time available for lighting an event. 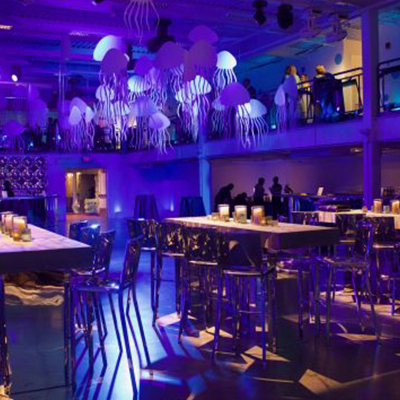 With the wireless and magnetic lighting available today, event lighting can happen effortlessly. “Our magnetic pinspots are also helpful in drop ceiling environments,” says Andrew Dooley, Lighting Design and Partner of Frost Productions. 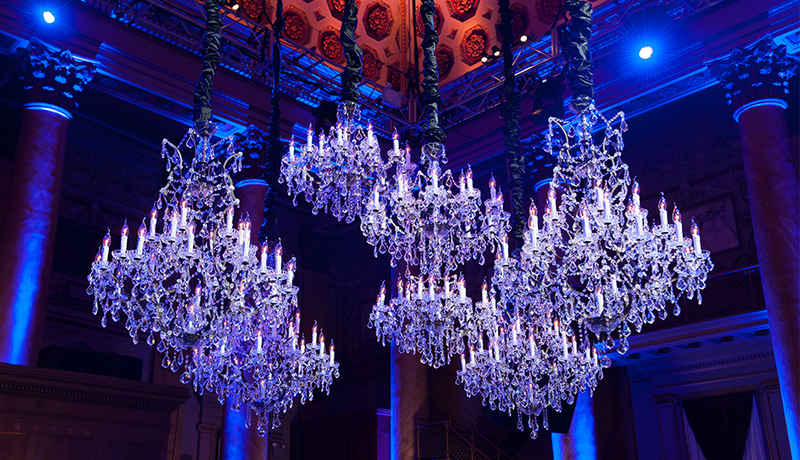 “The older ballrooms in the area don’ t leave much room for hanging heavy fixtures, so we bring in the lightweight pinspots to do the job.” This new technology enables lighting pros to do a quick and clean set up of an event. 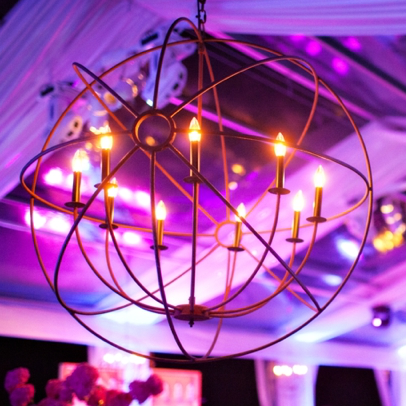 Lighting can make a bold statement for special events and advertising. At trade shows and conferences, the right lighting can be a powerful advantage. Logo projection and thematic colors are just a few ways to make your message come to life. At corporate , lighting can create an ambience of energy and enthusiasm. 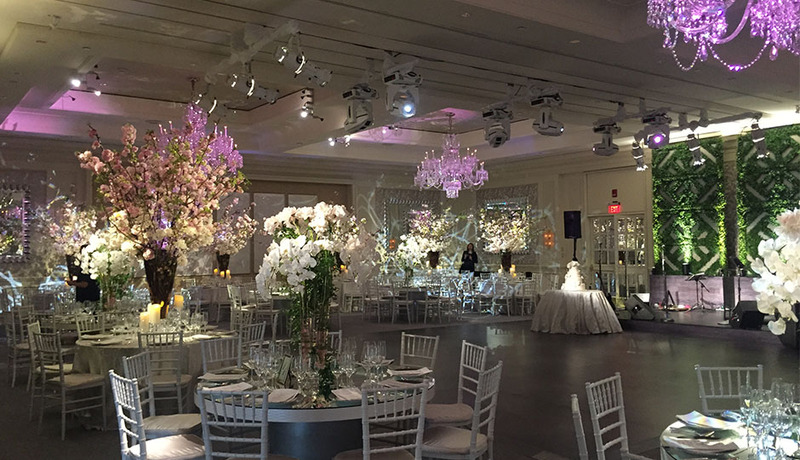 For social events it creates an atmosphere that sets the tone for the entire evening. . Chandeliers, uplighting, spotlighting floral centerpieces, controlled changing colors and patterns and for the dancefloor, help provide an elegant atmosphere for a wedding reception, and they can even be coordinated with the wedding’s color theme. 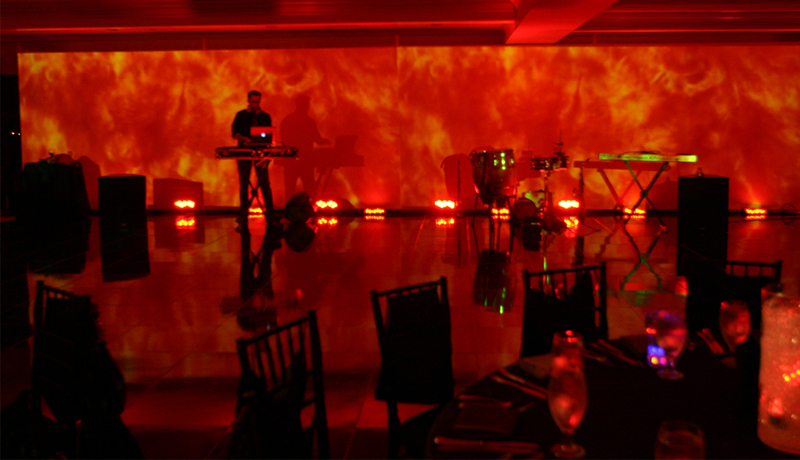 To learn more about what you can do to enhance your next event, check out Frost Productions.